A Community Center with Full Kitchen for Meetings, Parties, Events, etc. 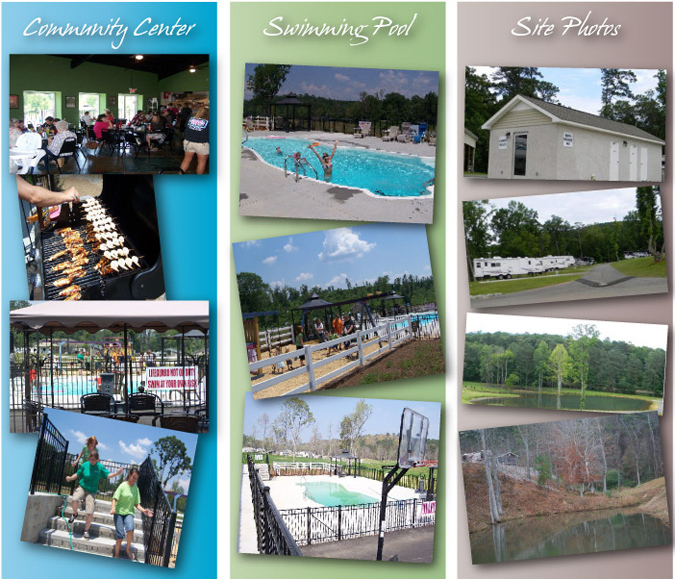 In regards to boat and RV storage, Blue Heron Resort requires a gate key deposit of $25 upon starting your lease. Cost is $2 per sq. ft. in length, or anything over 25 ft. is a flat rate of $50 a month. A written lease is required. Agreements are month-to-month or long-term. Blue Heron Resort shall have no liability for damage or loss caused by heat, cold, theft, vandalism, fire, water, winds, dust, rain, explosion, rodents, insects or any other cause whatsoever. Blue Heron Resort carries no insurance covering a loss to occupant’s possessions. Occupant should maintain a policy of fire and extended coverage insurance with theft, vandalism, and malicious mischief endorsements to the extent of 100% of the replacement value of the property in the storage space. To the extent occupant does not maintain such insurance, occupant agrees to self-insure to the same extent as such a policy would have provided. Blue Heron Resort shall NOT be liable to occupant or occupant’s invitees for personal injury or damage to personal property caused by any act of negligence of any person on said premises. Occupant hereby agrees to indemnify and hold harmless Blue Heron Resort from any and all claims for damages to property or personal injury and costs including attorney’s fees arising from occupant’s use of the premises. Owner shall not be deemed to either expressly or impliedly provide any security protection to occupant’s property maintained at the storage site. For more information, contact the Blue Heron Resort office at 256.571.7527 or click here to email.